Seismic tank restraints help keep tanks from tipping over during a variety of conditions including storms, earthquakes, or in the event of a natural disaster. Some localities require seismic restraints and have different requirements than others. Please contact your local regulating authority for requirements pertaining to your application. 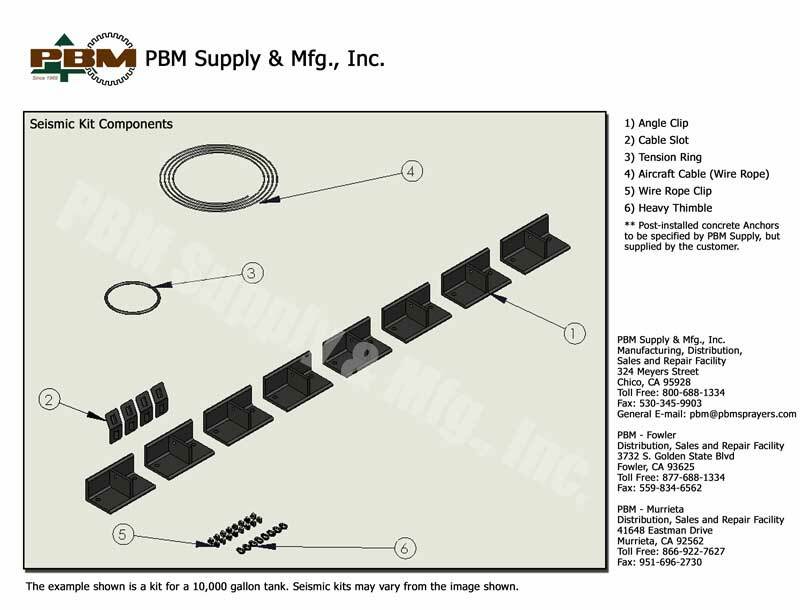 PBM can supply Engineered drawings in the states of California, Oregon, and Nevada; Other states may or may not accept our Engineer's stamps. Contact us for more information about engineered solutions. 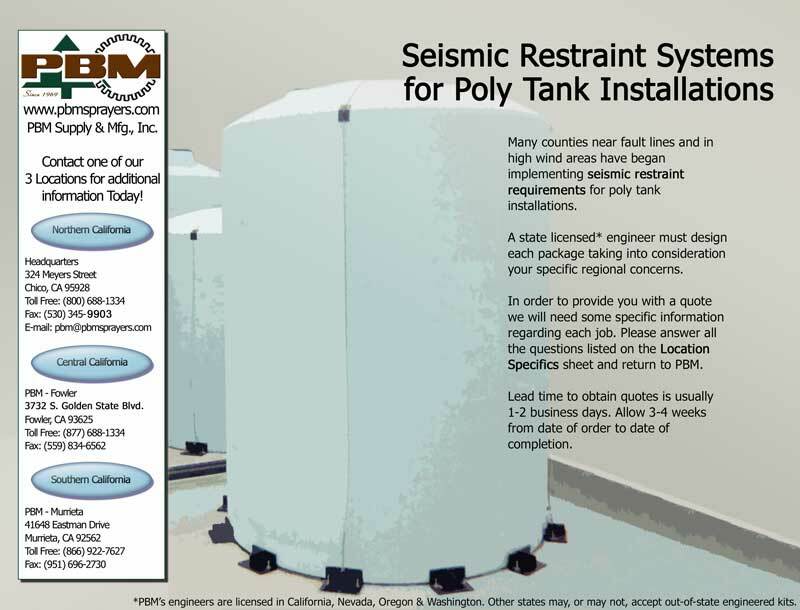 Download our Seismic Restraint Form Here Once complete, submit your form to pbm@pbmsprayers.com for one of our associates to review.